All new member states have seen their per capita income rise since they joined the EU. But this convergence cannot be taken for granted and the countries with a large share of low-skilled workers are at a risk “of not converging effectively”, a World Bank official warned. Christian Bodewig, the WB’s programme leader for inclusive growth in the EU, talked to EURACTIV Poland’s editor-in-chief, Karolina Zbytniewska, and discussed the newest report he co-authored, “Growing United: Upgrading Europe’s Convergence Machine”. Poland’s GDP per capita (PPS) amounts to 68% of the EU average. That’s good as we have risen from 52% in 2004, but also bad as it’s still far below the average. How can we achieve 100%? The EU has really been a convergence machine for new member states, characterised typically by lower per capita income relative to the EU average. Once inside the bloc, they start the catch-up course – that’s the process of convergence. We have seen patterns of convergence in all joining states, both the early ones in Southern Europe and then the new ones from Central Europe. The general pattern for Southern Europe has been initially strong convergence and then stagnation. And by the South, we mean the countries that joined before 2004 like Greece, Portugal, Spain, and Italy, one of the founding EU members. Perhaps Central and Eastern Europe have not been in the convergence machine long enough to reach a strong level of development, which would then be followed by stagnation. Central European countries, Poland, the Baltic states, all the way down to Bulgaria and Romania, saw income per capita rise relative to the EU averages, and this trend continues. Growth rates in this part of the world are higher than in Western Europe. And that is also the story of convergence – on a regional scale. But now the questions are: “will that convergence continue?” and “is that convergence working for everyone?”. Often, it’s visible at the country level, like in Poland, but not at the subnational level. Poland has been converging as a country, but diverging when we look at divergences among the European regions. Likewise, you see divergences between people. Accelerating technological change provides great opportunities for high-skilled workers while others are being left behind, what leads to rising inequalities. Therefore, the key message from our report “Growing United: Upgrading Europe’s Convergence Machine” is that we cannot take convergence for granted. There are some states that used to converge but have stopped or even stagnated. Simultaneously, countries that are well prepared to take advantage of the technological change are equipping themselves with high-skilled populations and business environments ready will thrive as a result. Technology will boost labour productivity and help those countries pull away. On the other hand, those that are catching up may not continue this trend if they have gaps in these fundamentals. They won’t thrive if they have a large share of low-skilled workers. It is the case with Bulgaria and Romania, but also Croatia or Hungary. As a result, they are at risk of not converging effectively. To reverse this trend, governments must make sure that current and future workers have fundamental cognitive and social-emotional skills and that firms offer an environment that allows them to thrive, grow and take on technology. This is thanks to access to finance, encouraging business regulations and fostering a competitive environment. So, for convergence to continue towards 100%, people and companies should have these opportunities at their disposal. In 2012, the World Bank named the EU as the most effective convergence machine. But at the same time, inequalities between and within countries have grown. Isn’t that the opposite to convergence? Exactly. While preparing the 2012 report, we looked at Europe in comparison to other regions in the world and saw that since the 1960s, Europe has seen poorer countries converge with richer ones faster than anywhere else in the world. That, of course, is due to the European Union, and concretely because of the accession process, single market, trade integration, and structural funds. However, in recent years, many people have implied the convergence machine doesn’t work anymore. Thus, in this latest report, we looked not just at countries, but also below the country level – at regions and even households. Averages are one thing, reality with its variations is the other. And a lot of people are worried about rising inequality and, for example, that their region doesn’t develop as fast as the metropolitan one, not to mention the capital city. And these people are right – we also observe this growing divergence, which is strongly driven by technology. “Technological change is driving a wedge in product and labour markets by providing immense opportunities for some firms and workers while leaving others behind”, we read in the report. Workers who have the right skills are or can be in jobs that are increasingly about using brain power and being interactive. Manual jobs are declining at the same time. And as with workers, we also see a growing dispersion in productivity between very productive firms and the lagging ones. But it’s not about rich and poor. If you go to Bucharest or Sofia you see thriving cities with companies at the forefront of technology globally doing business in Silicon Valley. But if you drive 200 kilometres outside the city, the reality becomes very different. What is the major challenge for Poland in terms of developing the market of non-routine cognitive jobs? Poland is doing very well exploiting the fact that it has captured production previously based in Western Europe. It has moved to Central Europe because of the lower wages and as education was good for these types of jobs and the kind of production. Low wages still remain our competitive advantage. Yes. But it will not be forever. Now it is the time to prepare and set the ground for the future phase when Poles will want to have more sophisticated production and higher productivity to generate higher wages and higher living standards for all. How to get there? This brings us back to the story of opportunities and investing in people. Poland has done really well over the last 25 years to set the foundations to an education system geared towards equipping next generations with sound cognitive foundations – skills. Not for all, as there are divides between urban and rural areas, amongst poorer and richer kids – but these inequalities are relatively small in the Polish educational system. Education systems that have low degrees of socio-economic segregation and higher variations between pupils perform better overall. So, there isn’t any trade-off between equity and excellence and you have really good foundations. Now, it is important not to be complacent but to make sure that every single one is equipped with these sound cognitive foundations. Especially taking into account that the world of work is still changing, machines are taking over tasks that humans have been doing in the past – also cognitive ones, of the repetitive kind. 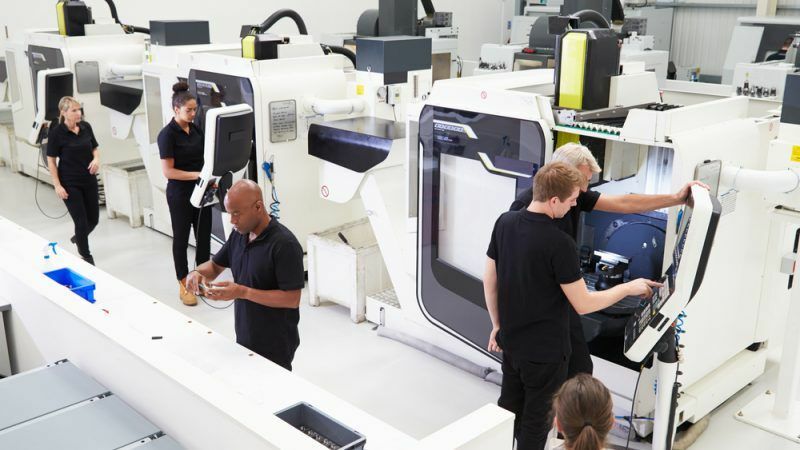 It’s increasingly important to emphasize skills and competencies that machines don’t have – or they don’t yet have. So, non-routine cognitive skills, social skills, ability to interact with others, to be goal-oriented, empathetic, to work in teams. Difficult to measure, and it requires changes in the learning process… We need to learn from each other, from other countries. Seven of the 10 best performing education systems in the world are based in East Asia and all of these systems are constantly innovating. Let’s draw inspiration from them. Is there potential for admitting all working age Europeans to the sphere of these cognitive non-routine jobs? And if not then what? Universal basic income? How do you see the future of labour market? We need to emphasize retraining of workers. We must understand how adults learn, as so far we don’t know much about it. So, number one is building effective retraining systems. Second is facilitating transitions. There’s a need for social protection to be able to provide income support during transition periods. There may be some workers who will fail to find the new type of technology-driven, more cognitive jobs. And then we need to make sure that there is protection for those people. Perhaps rather than through a basic income for everyone we need more tailored solutions within a basic safety net for those in need. Then, everyone should have a way to contribute to society for reasons of social inclusion and cohesion. Finally, the migration crisis. How can asylum seekers and refugees fill in the labour structure of the future? There is a lot of investment needed to integrate those people into the labour market. Is this investment worth the effort? Recently, an encouraging report from the German labour market was published concerning employment of migrants during the 2015 migrant wave. In some sense, the labour market has been so absorptive that it surprised many. But let’s look at those people from the skills angle. I think we should build systems to pick up competencies that people bring. Everybody has skills. And just think about social, emotional and behavioural skills that one needs to migrate. You must be very resilient. Very strong. Very goal-oriented. You must be very much focused on getting to where you want to go. These are tremendous assets. And we have seen that all around the world – migrants make a remarkable contribution to countries that welcome them. Think about the US, an immigration country, where migrants have been engines of growth. So, we need to invest in training but also in our own understanding of how to build labour systems. We need to think long-term. If we get things right and provide opportunities for the next generations, children of migrants can make a tremendous contribution in our society. That’s about building the education system right from the very bottom, one welcoming and integrating children so that they acquire the human capital and skills that they – and our systems – need right from the very beginning. In the past the EU was a loose federation that allowed its member states to have their own development. Nowadays, it has centralized things so much that it has a few growth cores that work as a vampire while the rest become periphery.